This is our new favorite after dinner treat. It only take a minute to make and really, it’s quite healthy. 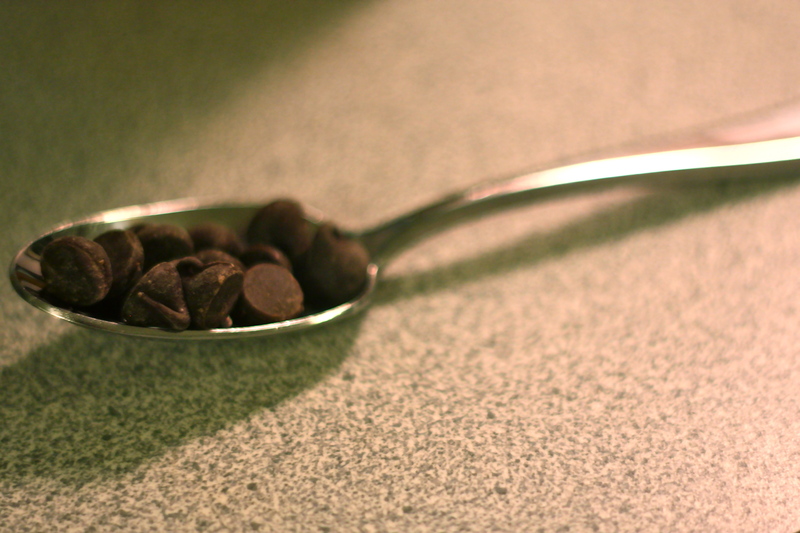 Add the chocolate chips to a small bowl. 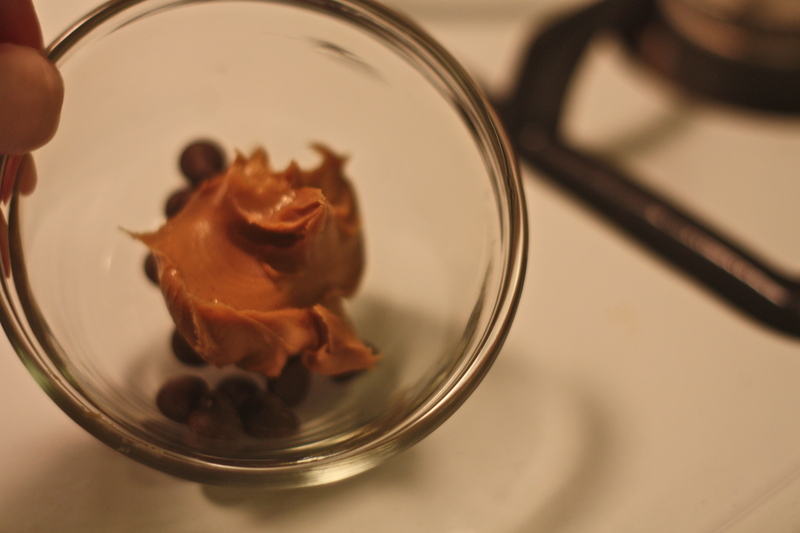 Scoop the peanut butter into the bowl on top of the chocolate. Microwave for 30 seconds and stir. 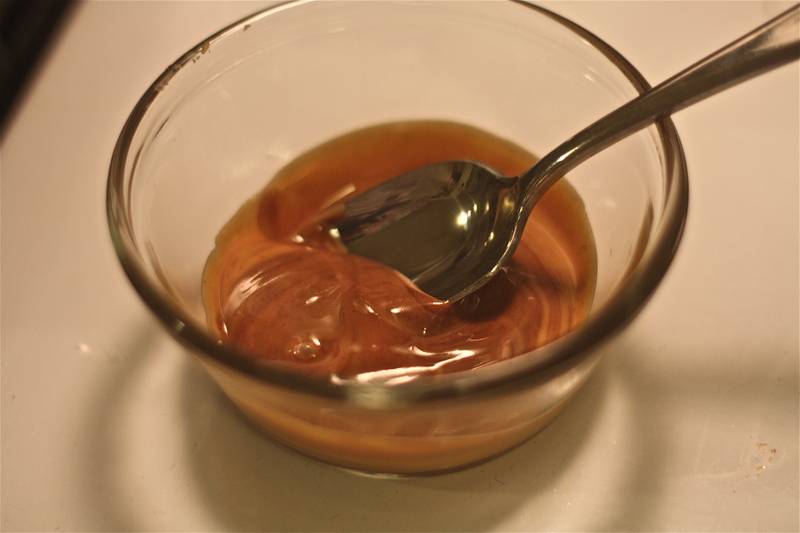 If chocolate is still not melted microwave in 10 second intervals, stirring after each one. 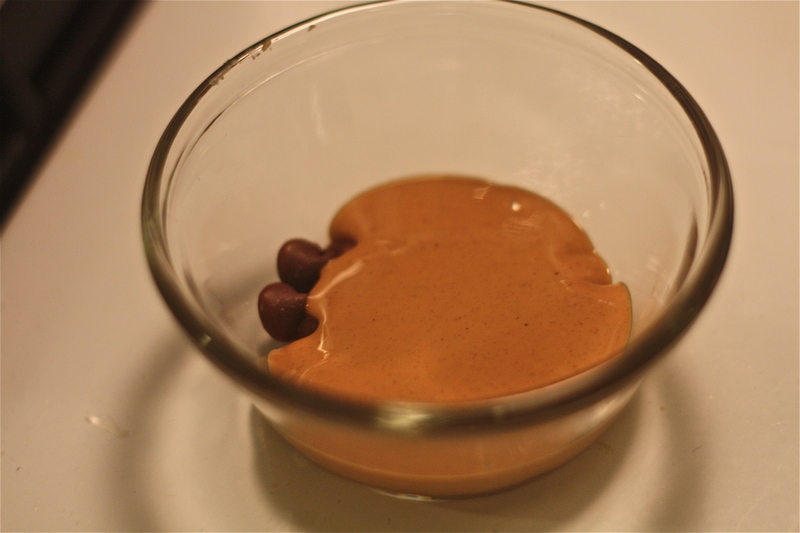 Stir it until both chocolate and peanut butter are mixed well. 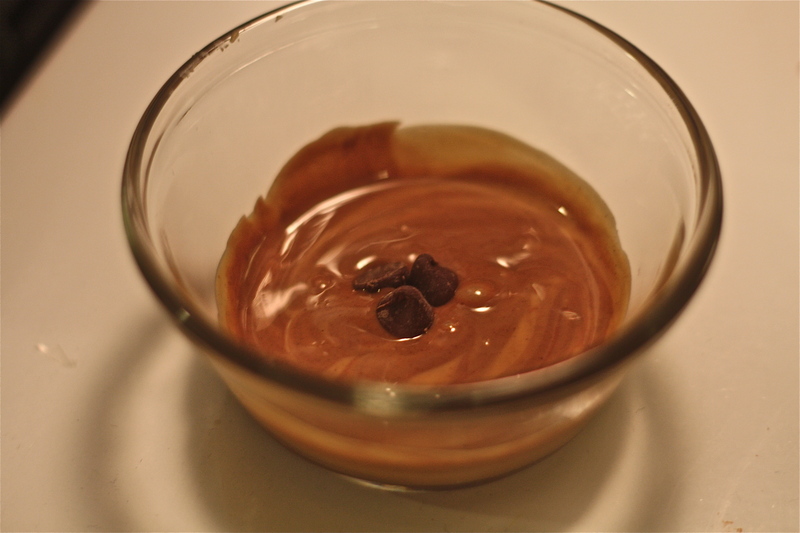 Add a few chocolate chips on top and enjoy! It’s basically like eating a warm Reese’s Peanut Butter cup. 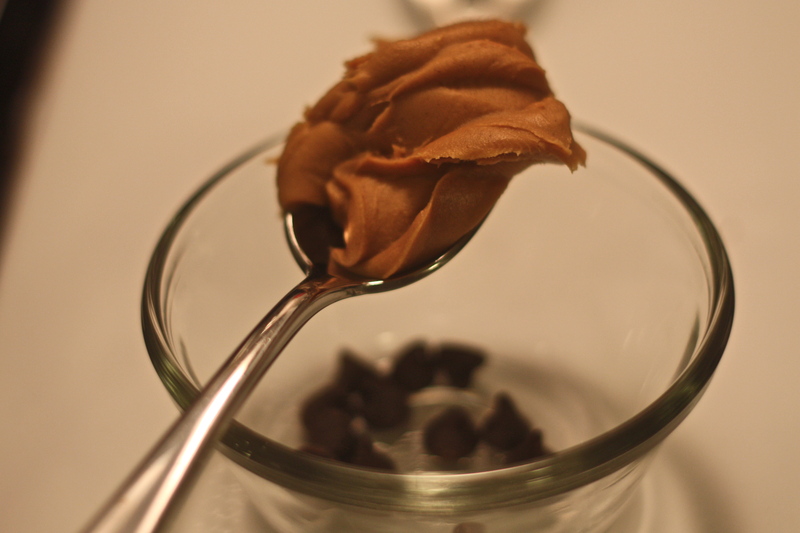 Add more chocolate or peanut butter depending on your liking of them. With dark chocolate it’s a nice healthy treat. Even with milk chocolate it’s not bad. Dark chocolate gives me the worst heartburn…and makes me sneeze, is that weird? So I use milk chocolate. I am going to have to introduce this to my little buddy Jackson this weekend. We may even find something to dip in it. hmmmmmmm. It’s soooo tasty. Let me know what you dip in it!! Pretzels maybe?! I will have to try it with almond butter (peanut allergy). It sounds like a wonderful treat!! !